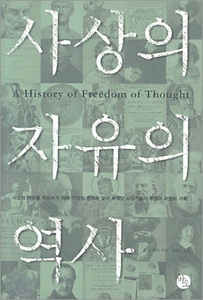 The late Professor Bury's History of Freedom of Thought is a well-established "little classic" which has been in steady and continuous demand since it was first published in 1913. Written when liberty of thought seemed likely to become a universally attained ideal, the book is at once a history and a manifesto of a vital human quest whose end has since receded into futurity. For this edition Mr. Blackburn has provided a substantial Epilogue surverying, in a historical context, the changed istuation in religion, education, Parliament, the press, science, and in society generally.